Hippo birdie two ewe, Hippo birdie two ewe, Hippo..
..birdie deer ewe, Hippo bir-die two ewe! 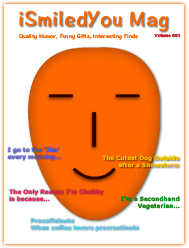 A funny, hilarious birthday card for people of all ages and gender - kids, teens, adults, senior citizens, girls, boys, men, women, gays. Great card to spread smiles on a birthday. 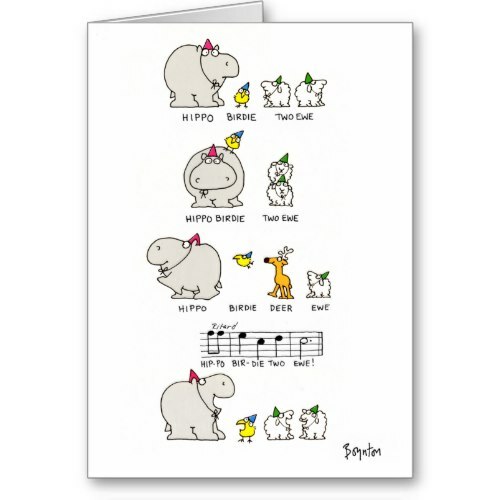 A customizable greeting card, it has cartoons and lyrics featuring a hippo, a bird, a deer, and two ewes. You may add your own text to the inside of the card, at no extra cost. Cute, fun, birthday greeting card for friends and family, kids and adults.